Windows Updates are absolutely a vital feature to our PC’s. Without them, it would take light years to receive important security updates as well as Service packs. These security updates and critical updates are necessary in order to protect us from vulnerabilities such as malware and other security exploits. Unlike anti-virus software such as McAfee, Norton, and Avast, these fixes aim to plug up holes in the entire structure of the operating system and offer the absolute best form of protection. The best part about them as that they are free. The worst part about them is that they are as annoying as a cat in heat. Windows Updates have been so bothersome and annoying for some people that they have opted to turn them off completely in order to avoid the headache of unexpected shutdowns, constant reminders, and the failed updates that render our computers useless. 2. Click Enter and a new diaglog box will pop up. 3. Navigate to the Computer Configurations tab. 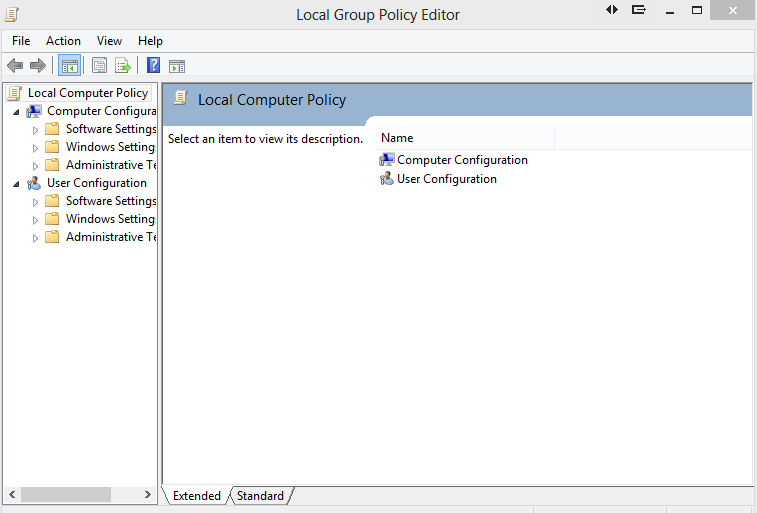 From there, select Administrative Templates, Windows Components, and then select Windows Updates. 4. Double click on the “No auto-restart with logged on users…” tab and it will take you to the next screen. 5. 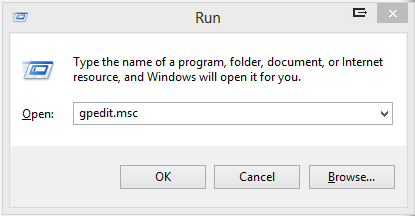 Select ‘Enabled” and click apply. Now you are all set! 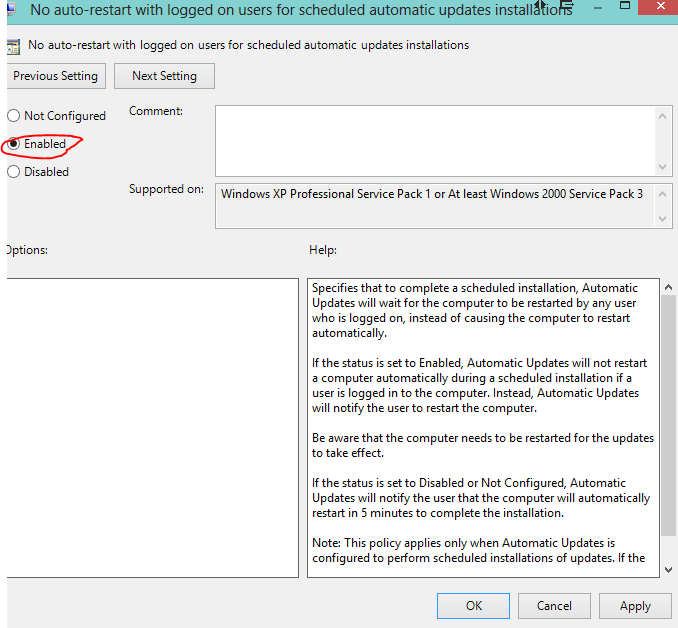 It is important to note that the tip above will not completely eliminate the pest-like reminders for you to restart your computer after Windows Updates have been downloaded. However, it will ensure that your computer will not automatically restart. Countless times, our computers have been restarted during a bathroom break. We get back to our desks only to find out that our work is gone, data is lost, and we have to start all over again. Worse than that, we are forced to constantly click Postpone so that the computer doesn’t shut down at a critical time. If you have difficulties with this guide, please contact a computer repair company who can assist you. 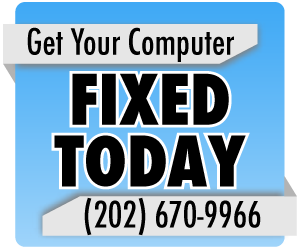 In addition, if failed system updates have prevented you from logging into Windows, please contact a computer repair company.